Your needs become our genuine concerns. Our team will stand with you, working through every challenge you face. A poorly fitted prosthesis will make comfort impossible. We ensure the right prosthesis with the right fit, personalized for you. We come alongside your recovery to help you do what you love. A poorly fitted prosthesis will make comfort impossible. We ensure the right prosthetic with the right fit, personalized for you. Providing an amputee with a prosthetic leg gives them the chance to return to walking and dramatically improve their quality of life improves. After learning how to use their new prostheses, our patients can do the thing in life they love to do, be it dancing, walking, running, martial arts, or some other activity. It’s an astonishing and inspiring process that we’re passionate about! Each type of amputation presents specific challenges to overcome for the patient and the practitioner. When facing these challenges, it is critical to have a Prosthetist that genuinely cares, listens to their patients, and walks them through each step of the recovery process. 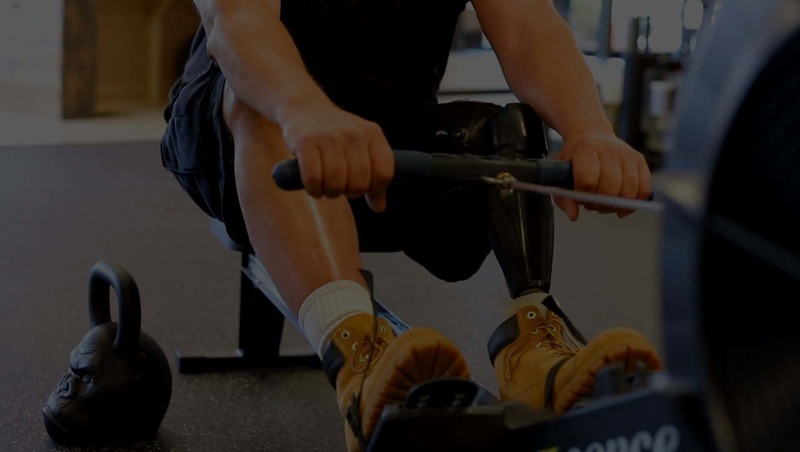 222Any disabled amputee can recapture the active lifestyle they once had, through Prosthetic Care & Treatment. Though not an easy journey, it is one that makes it possible to feel whole again. You’ll get a fully customized prosthesis to fit ALL of your needs. Learn how to use your new prosthetic leg through extensive training and support. Get the most from your prosthetic with our cutting-edge prosthetic advancements. Let anxiety fade: we’re certified in all prosthetic devices we prescribe. Each type of amputation presents its challenges to overcome for the patient and the practitioner. When facing these challenges, it is critical to have a Prosthetist that genuinely cares and listens to their patients. Depending on the level of amputation and ability of the patient, the design, function, and type of prostheses will vary. Every patient presents with their own unique needs, and our Limbionics’ practitioners provide personalized treatment solutions that are custom to each patient. No two prostheses that we design and deliver are ever the same. For optimum results, a comfortable and well-fitting socket design is crucial. And, selecting the right components and prosthetic parts are essential to the fit, function, and comfort of a patient’s prostheses. Limbionics’ practitioners take this role very seriously; we give our patients the best prosthetic treatment possible. 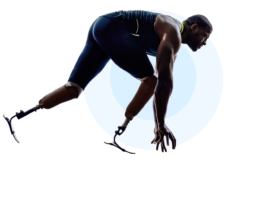 We are experienced in the full spectrum of prosthetic intervention, from basic prostheses to an advanced microprocessor and bionic technology, to specialized sport-specific prostheses. A value of our company is to stay on the cutting edge of technology and be able to provide these new prosthetic advancements to our patients. We are certified in every prosthetic device we offer (see more on our technology, below). Our practitioners are happy to discuss treatment options with you and help you decide if one of these prostheses are right for you. If you’re not sure what your insurance will cover or what type of prostheses you need, please call us to speak with a Prosthetic Treatment Expert to get the answers you need. You can find out full contact information HERE or give us a call at this number (919) 908-8976. You’ll get a fully customized prosthetic to fit ALL of your needs. Learn how to use your new prosthetic through extensive training and support. Brittany’s warmth and personality truly shine when she works with me. Everything, down to the bathroom, floor and walls are so different from any other office I’ve been to. The Limbionics building and staff are filled with amazing energy. Brittany truly understands her patients and always focuses on OUR best interests. She “gets it” because she was at one time a patient. I became an amputee of my left leg in 2009. I, like many have struggled over the years, mostly with being comfortable. I was lucky to find Brittany from LimBionics! Her empathy and passion for her industry and patients stands alone! Brittany got me going again in 2015 after years of painful prosthetics from other Prosthetists and now I haven't stopped since getting the new socket! Being a knee disarticulation, I am a "rare" case, but Brittany was up for the challenge and hit the nail on the head with the first socket made! I feel great/normal again and perform my daily activities beyond my expectations! If you are needing prosthetics or orthotics, this is definitely the company to deal with!! You will not be disappointed! I have had the honor of working Brittany as my Prosthetist for several years. She is one of the most amazing people and most amazing practitioner I have ever met. Brittany has an amazingly strong work ethic and everything she does, she does with excellence. A transfemoral amputation, commonly referred to as an Above Knee (AK) amputation is accomplished by cutting directly through the femur bone of the upper thigh. The knee disarticulation is an amputation performed between bone surfaces, rather than by cutting directly through bone. A below knee amputation, commonly referred to as a BK or a BKA, is surgically accomplished by cutting through the tibia and fibula of the lower leg. A partial foot amputation is often a result of advanced vascular disease, secondary to diabetes. An amputation done through the ankle joint. The foot is removed but the heel pad is saved. The primary prosthetic concern with this type of amputation is that the patient is required to control and manage artificial joints (knee & ankle). Also, weight bearing on the residual limb typically causes pain so the socket design must accommodate for this. With this amputation, the residual limb generally can tolerate some weight bearing, providing a long mechanical lever controlled by strong muscles. By retaining a full-length femur, the thigh muscles tend to be stronger, because they are released at their distal attachments, rather than bisected in the muscle belly. A below-knee amputation, commonly referred to as a BK or a BKA, is surgically accomplished by cutting through the tibia and fibula of the lower leg. A large portion of BK amputations is due to peripheral vascular disease and poor circulation of the lower extremity. Although retaining the knee joint improves overall function and ability, muscle contractures of the knee and hip can inhibit recovery and physical therapy. A partial foot is characterized as an amputation occurring at the fore, mid or hind foot, not including the disarticulation of the ankle-foot, which is specified as a Syme’s. PFA’s are historically known to have a significant failure rate and various complications, including ulcerations, skin breakdown, contracture and proximal amputations. A Syme amputation is an amputation done through the ankle joint. The foot is removed but the heel pad is saved so the patient can put weight on the leg without a prosthesis (artificial limb). The goals of a Syme amputation are to remove diseased tissue or a non-usable foot and create a functional, painless limb. Not sure what your insurance will cover or which prostheses you need? We’ll help guide you through the entire process. Get your free consultation now.